Three sets of software and a cellular line are used by the machine to communicate data to us in real time to better serve the customer. 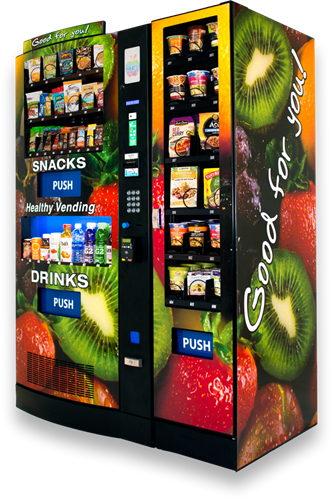 Over 300 healthy chips, snacks, bars, and drinks in one machine to minimize space and for the same or lower prices than traditional offerings. 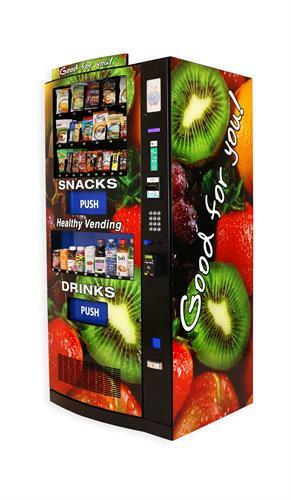 An additional SmartMart Entrée and Side Vendor with over 70 meal products. Videos play on the machine. Clients like to use the videos for announcements or sell advertisements. Discounts ie happy hour, all products 50% OFF! Lotteries ie every 7th vend FREE! In addition, I am local and always available. Although there is never a cost to you, we only offer to qualified locations. If you would like to discuss your qualifications, please feel free to contact me anytime. Thank you very much for your time and consideration and Have a Healthy Day!